On September 8th in Italy we celebrate the Nativity of the Virgin Mary and if you are in or around Florence on that day, you certainly can’t miss these special events organized in the city. 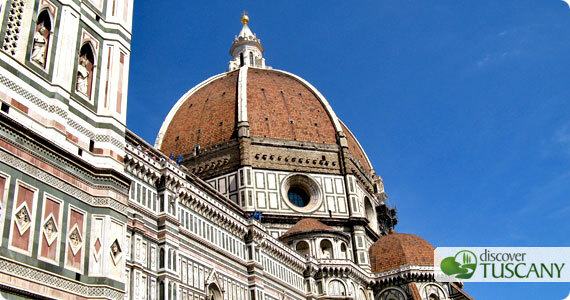 The Florence Cathedral, dedicated to the Virgin Mary, will be regularly open and offers to visitors the incredible chance to visit the terrace of the Duomo at no cost. Here you can enjoy a very special panoramic view over the city and its surroundings. You’ll climb up at 32 meters high and can walk along the terrace around the base of the Cathedral’s cupola getting a 270° view of Florence. On the feast day of the Virgin Mary, the magnificent and just restored Porta del Paradiso (Gates of Paradise) by Lorenzo Ghiberti will also be presented to the public. After 27 years of meticulous restoration, the door originally located on the east side of the Baptistery of Florence, will be at last displayed under a glass case in the Museum of Santa Maria del Fiore (better known as the Opera del Duomo Museum) and shown to all visitors. Last but not least, in the evening in the Cathedral the great Italian tenor Andrea Bocelli will perform a unique concert with sacred pieces, accompanied, among others, by the Chorus of the Maggio Musicale Fiorentino. The concert is open to the public and free, but only with reservation and subject to availability. For information and reservations, you can call the 055.26524222 (we’ll try to be there, too!). I remind you that, due to tradition, on the evening of September 7th the historic center of Florence is filled with colorful paper lanterns on the occasion of the Festival of Rificolona. If you’re planning to participate in (and I would recommend it!) or want to learn more about this event, read this article. If you’re going to visit Florence soon, book your stay on Florence-Accommodation.com: we’ve selected for you the best accommodations in Florence and its surroundings.